The Great Pyramid of Giza is one of the great Wonders of the World, and the last to still exist full intact. Located in El Giza, Egypt, this is one of the most mysterious and fascinating constructions in the world. As the oldest Wonder of the Ancient World, the pyramid complex (with three pyramids) is a breathtaking site. There have long been theories and conjecture about how and why the pyramids were constructed. At the height of the Ancient Egyptian empire, they were a testament to the enduring power and majesty of the Pharaohs. 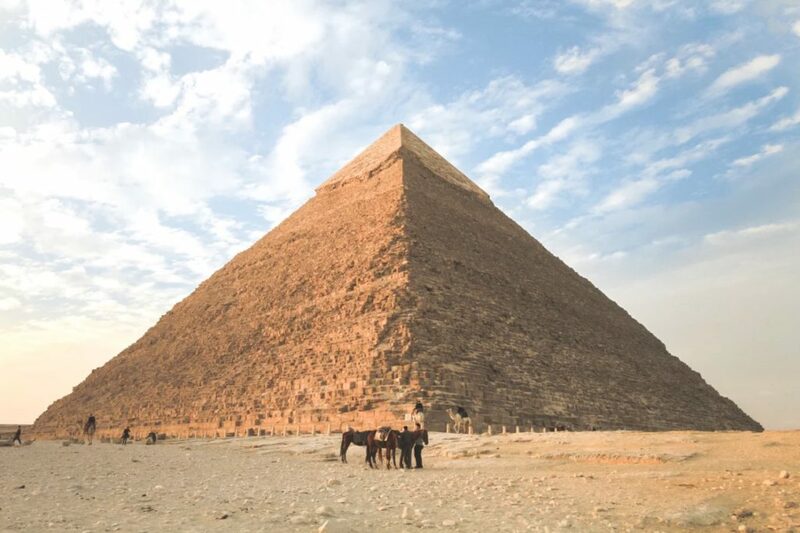 Originally believed to have been constructed as a tomb, the Great Pyramid was once the tallest man-made structure on the planet! 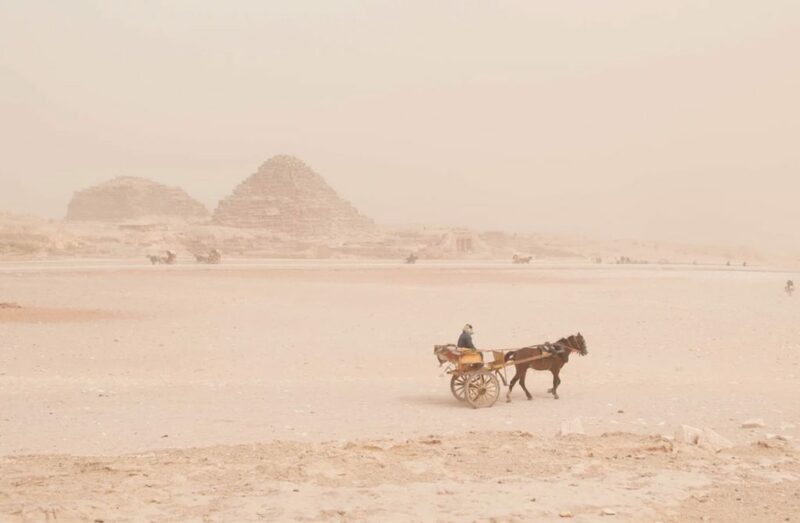 For centuries we have marveled at the pyramids and the iconic nature of them. So, let’s delve a little closer, and unravel the mystery of the Great Pyramid of Giza. The pyramids were thought to have been built around 2560 BC, over a period of about 20 years. They were constructed from giant stones and used as a tomb to hold the Pharaohs and their spouses. Many people have questioned how the construction of these great monuments was possible with the rudimentary tools and limited resources available in ancient times. This has led to a lot of people postulating extraterrestrial and supernatural methods of construction. However, the most logical explanation is that the Egyptians used ramps and stone blocks, as well as a hierarchical form of labor. Many people don’t know it, but the largest pyramid of the three, the Great Pyramid, actually has three chambers inside it. There is the Queen’s Chamber and the King’s Chamber high up in the structure, and there is a larger chamber at the bottom of the pyramid. There are also passages and airways that run throughout the pyramid. There are air vents that travel from the King and Queen Chambers, and these are thought to have been for the purposes of ventilation, or even to allow the spirit of Ka to travel in and out of the pyramid. 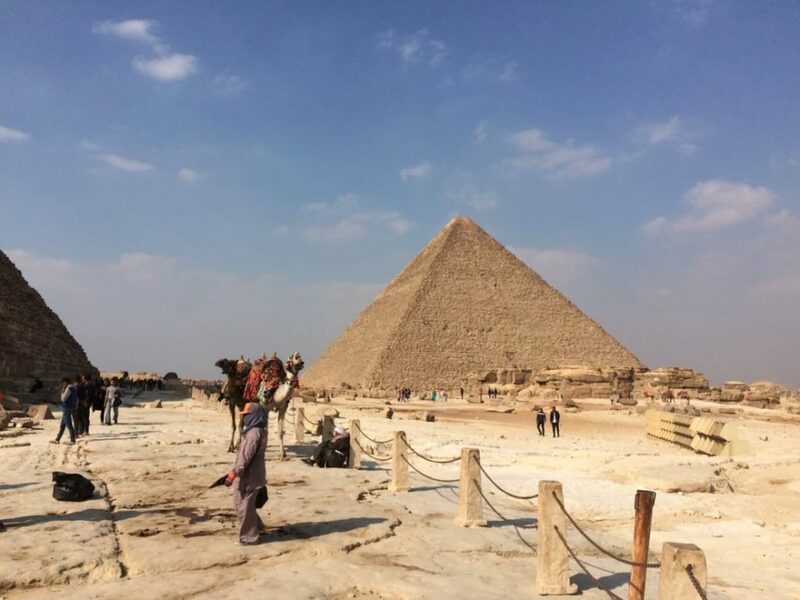 The Giza complex has become a huge tourist hotspot, and, in recent times has undergone something of a renovation. There have been refurbishments and renovations to the site, and the pyramids over the years. And they play an important role in the tourism and economy of Egypt as a nation. It is still a construct full of mysteries and secrets, some of which we will never be able to unlock. But, for now, we will have to make do with what we know about these majestic constructs as they are, and marvel at their architectural and engineering brilliance. The Great Pyramid of Giza is truly one of the marvels of the Earth and an unbelievable feat for an empire and civilization that was way ahead of its time. Even still, the pyramids are a construct that should not have been able to be built or exist when they did. They are one of the greatest tourist attractions in the world and attract millions of visitors every year.